The head of the Russian Upper House has warned the US “export of democracy” is merely a disguised attempt to maintain its dominant position in the world that can only bring chaos, wars and disasters to other nations. In a major interview published by the Parlamentskaya Gazeta daily on International Democracy Day – September 15 – Valentina Matviyenko said that in her opinion numerous extant conflicts across the globe were caused mainly by the interference of leading western nations into internal affairs of other countries. “They are using various means of political and economic pressure; they launch color revolutions and even direct military invasions. The rhetoric centered on ‘protection of democracy’ can hardly fool anyone now. The reason behind such operations by the USA and their allies is their desire to maintain their dominant position in the world. 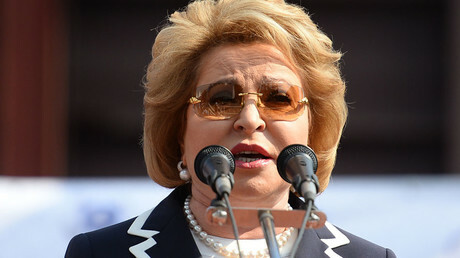 As far as the export of democracy is concerned, it only brings other peoples chaos, disasters and wars,” Matviyenko said. The leading Russian senator also emphasized that democracy meant not some theoretical principles, but in particular the will expressed by the citizens of individual countries. “No nation or group of nations can claim the title of carriers of the only authentic and model democracy that should be copied by the rest of the world. There can’t be ‘pupil nations’ and ‘tutor nations’, every state and every people has the right to its own choice of democracy model, without any outside interference,” she said. In further comments Matviyenko noted that many of the problems which Russia encountered in its modern history were caused by “non-critical borrowing of foreign experience,” that by the late 1990s had almost caused the collapse of state power. “Only the course proposed and consistently implemented by Russian President Vladimir Putin enabled the country to move away from the catastrophe and maintain its political and territorial integrity. Russia succeeded as a democracy and as a viable and strong state,” she emphasized. Matviyenko is known for her backing of the legislative policy aimed at the so called ‘nationalization of elites’ started in 2012. 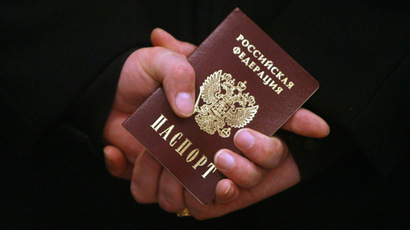 It includes the law banning senior officials from holding bank accounts abroad or owning foreign-issued shares and bonds. The restriction also extends to spouses and underage children. State officials are allowed to possess real estate abroad but have to declare it as well as the sources of income used to buy that property. In addition, in 2012 Russia introduced the so-called Foreign Agents Law obliging all NGOs who receive funding from abroad and whose work even partially overlaps with the political sphere to register as foreign agents or risk substantial fines. In 2014, the law was expanded with a bill making it illegal for Russian political parties to receive sponsorship from, or enter any business deals with, NGOs with “foreign agent” status.